LeapFrog My Pal Scout Just $14.99 + FREE Shipping with Prime! You are here: Home / Great Deals / Amazon Deals / LeapFrog My Pal Scout Just $14.99 + FREE Shipping with Prime! LeapFrog My Pal Scout Just $14.99! Head over to Amazon and get the highly rated LeapFrog My Pal Scout for just $14.99, down from $24.99. Or, if you prefer, you can get Violet for $22.99. Shipping will be FREE with Amazon Prime or an order of $35 or more. Teach Scout your child’s name and favorite things for personalized learning in 15+ activities. Listen along to 40+ learning songs, melodies and lullabies, for active daytime fun and nighttime soothing. Teaches first words, feelings and emotions, colors and counting. 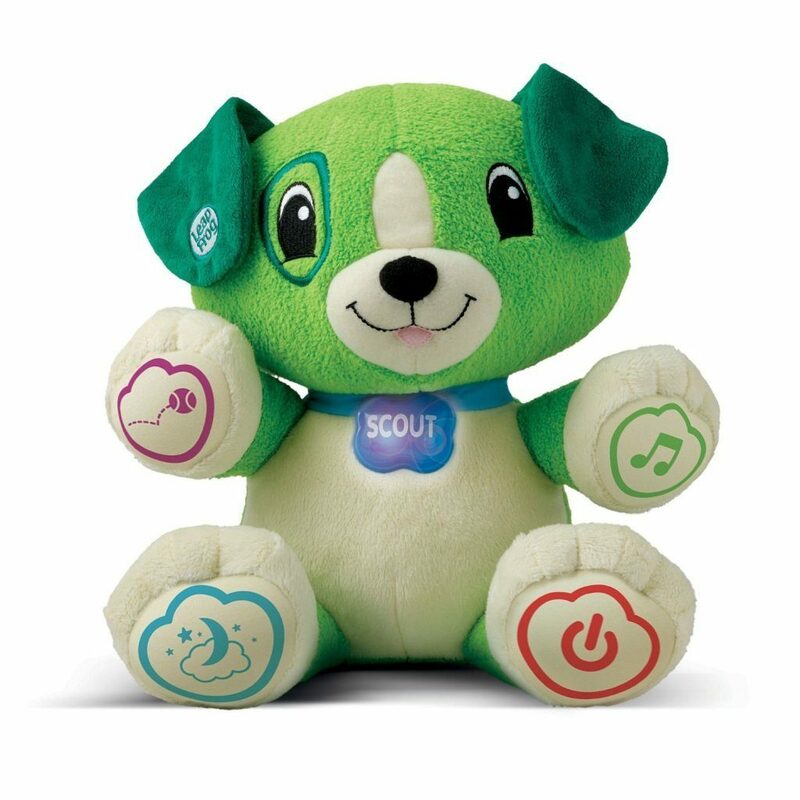 Connect Scout to your smart phone, tablet or computer for easy personalization while he’s still in the box. This cuddly pal is recommended for children ages 6-36 months.